One way to add value to your home is to consider laminate flooring installation. Laminate floors combine the beauty and elegance of hard wood, or tile floors with the easy maintenance of linoleum or vinyl flooring. Constructed from a high density fiber (HDF) wood board topped with a wood or stone pattern, laminate flooring is incredibly durable. 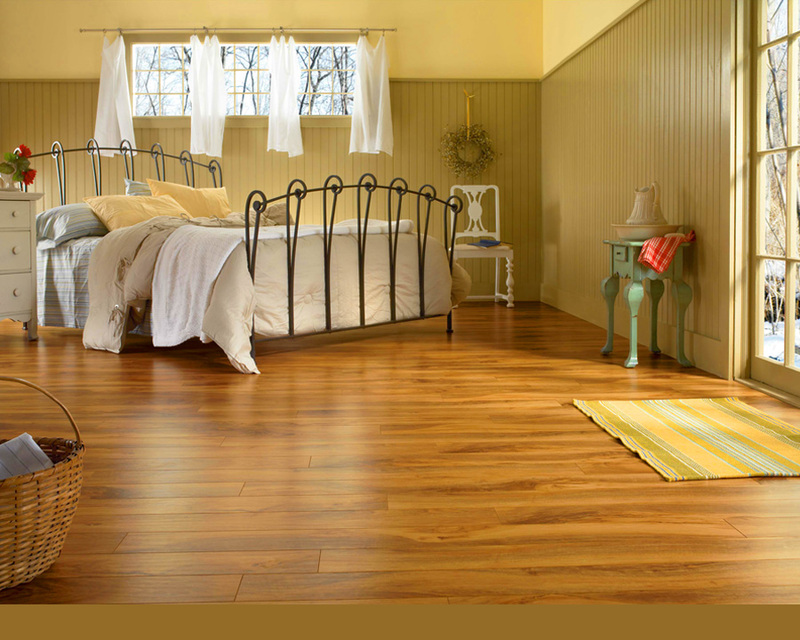 Resistant to scratching, scuffing and burning, the beauty of laminate floors will last a lifetime. With today’s constantly changing interior design trends, the easy installation and variety of laminate flooring is a popular choice for home designers. Direct Pressure – Direct Pressure lamination consists of a one-step process to bind the flooring layers into a single cohesive unit. DPL flooring that has been bound is then treated with melamine resins to increase the strength of the core. 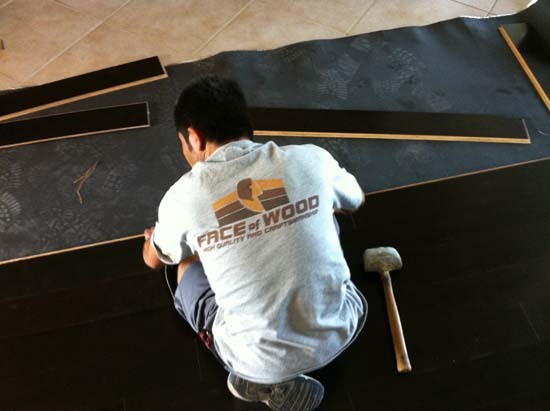 This final step also allows notches and grooves to be evenly cut into the pieces to facilitate the process of laminate flooring installation. High Pressure – High pressure lamination produces a more durable end product by binding the flooring layers over several steps. First the top layers are joined to each other and then glued to the HDF core. After this, the melamine resins and glued flooring are submitted to a high pressure press that completes the process and makes the product ready for laminate flooring installation. Standard Flooring – Standard laminate flooring is installed by using glue to affix the flooring to the sub floor. 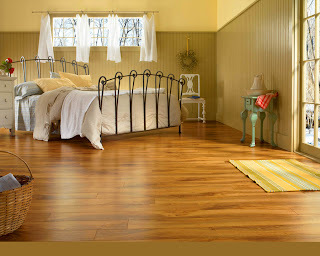 Standard laminate flooring installationis both cost-effective and secure. Pre-Glued Flooring – You may also come across laminate flooring products that have been treated with glue prior to sale. To complete the laminate flooring installation, water is applied to the underside of the board to activate the glue. Snap and Lock – There is no glue required for a Snap and Lock laminate flooring installation. The floor boards are instead linked by a locking mechanism on the underside of the wood. Snap and Lock flooring is very easy to install, but may be more expensive that laminate flooring installed with glue.